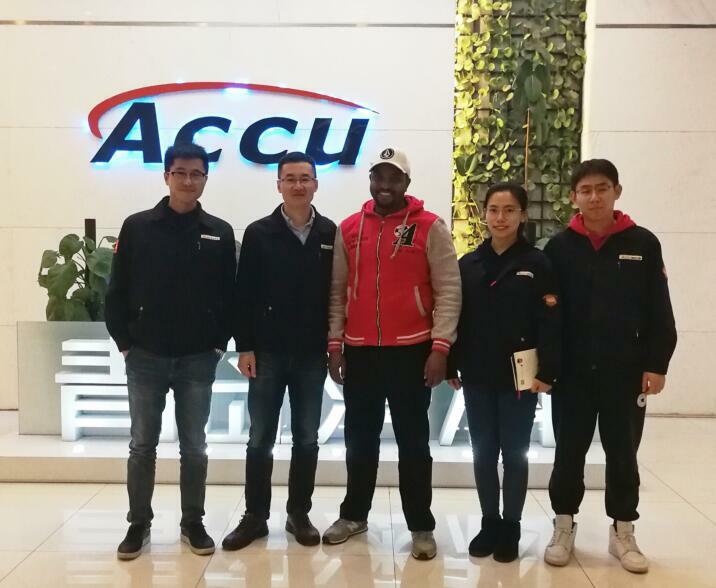 Nowadays, invited by Qingdao Accugauge, African client took a visit of ACCU factory. overseas marketing team accompanied in the whole process. First, the client visited the stock area and manufacturing shop, and expressed the satisfaction of our supply capacity when he saw the large amount of stocking and professional industrial production equipment. Then, export sales manager introduced the ATG system, leak detection system and tanker truck system to our client. Through this visit, they had more deeper understanding of our products, also enhanced the confidence to ACCU.